10.34PM: Tunisia well in control of this game now, and they'll be targeting that first World Cup win since 1978 in Argentina! 10:24PM: GOAL - TUNISIA - 2-1: Tunisia are in the lead! Khazri scores. Eagles of Carthage on course for a first World Cup win for 40 years! 10.10PM: GOAL - TUNISIA - 1-1 - Really well worked equalizer. Naim Sliti works the ball to Wahbi Khazri, whose low cross is slotted in from vlose range by Fakhreddine Ben Youssef. 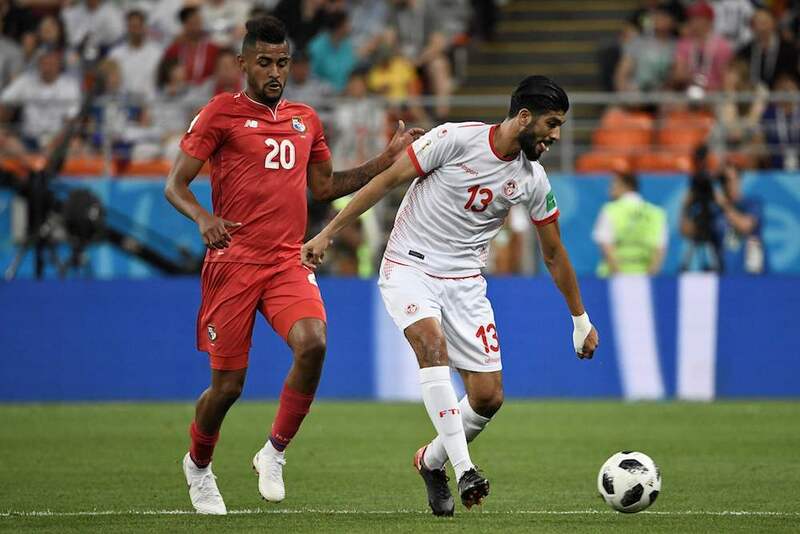 9.09PM: Half-chance for Tunisia - Naim Sliti goes past Adolfo Machado down the left and Fakhreddine Ben Youssef has a chance - but Fidel Escobar does just enough to put him off, and the ball runs through to goalkeeper Jaime Penedo. 8PM: So we have reached not only the last group game but also the last match of this World Cup to involve an Arab team. Tunisia face Panama in Saransk with both looking not only to get their first win, but also their first point. Tunisia opened up their campaign with a 2-1 defeat by England, a Harry Kane header in the last minute proving their undoing. They then were thrashed 5-2 by a rampant Belgium, the gulf in class between the two sides all too obvious to see. However, Panama, thrashed 6-1 by England on Sunday should offer up a good opportunity to break their duck in Russia. Can they end the tournament on a high?